Have you lost a loved one that you wish you could reconnect with in some way? Do you wonder if you will ever see your lost loved ones ever again? Is the thought of the afterlife something that you question even being real? If you answered yes to any one of these questions, then you have arrived at the right place. Nearly everyone on this planet has lost someone at some point, through the inevitable event that we know as death. In some cases it’s expected or we are prepared for it. In other cases, it comes completely from left field, sometimes even in the form of tragedy. The reason why death is usually viewed in a negative light by society is because of the loss that comes with it. While we all know that death will eventually happen to all of us and that’s something that no one can control, losing the ability to connect with someone for the rest of our living days is something that many people just cannot seem to accept. In life, we learn that relationships with other people on various levels are ultimately what provide true spiritual nourishment. In other words, while certain material things or places are capable of providing us with joy to some extent, there is no greater joy that a person can experience than human connection. In fact, the whole reason why we as humans feel such enrichment from relationships with others is because relationships magnify the human experience. The joy, happiness or positive feelings that we experience as humans becomes that much greater when there is someone to share it with. And that’s the reason why we experience so much emotional pain when we lose certain people in our lives. It’s because we’ve invested so much in the relationships ability to magnify our experiences on earth. It is for that reason that the closer we are with someone, the more we have invested in them, the more pain we experience when we lose them. Well, I learned a very long time ago that it doesn’t have to be this way. 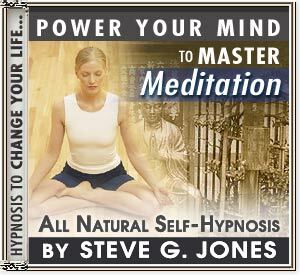 My name is Steve G. Jones, Clinical Hypnotherapist, and I have dedicated most of my life toward helping people create positive lasting change through the power of hypnotic influence. And along with that, I have immersed myself in numerous areas of metaphysical study including things like reading auras or the akashic records and astral projection. I first experienced the angelic realm when I was just 6 years old. And now, after nearly 30 years of research, experience and immersion into the metaphysical world, I have finally created the program that people from all over the world have been asking for. Early Angelic Experiences - Here I’ll share my first experience with the Angelic Realms and why what I discovered positions me as an authority on the topic. Channeling 101 - Here you’ll gain access to all the critical information needed to begin the process of channeling. Introduction To The Metaphysical - Learn how I became interested in the metaphysical world and why opening up to it will change your world. Initial Steps To Crossing Over - Here you’ll be introduced to the first steps to connect with those who have passed. Expanding Reality - Discover the secret to opening up your current realm of reality. The Power Of Hypnotic Engagement - Learn to incorporate self-hypnosis with angelic realms so you begin the process at will. The Key To Crossing - Here you’ll discover the one thing that plays the defining role in your ability to cross over. Entrance Prerequisites – Here you’ll learn about why your reasons for entering may affect your ability to do so and what to do about it. Identifying Your Guide – Discover the secret to recognizing the guide who appears to assist you in crossing over. Guide Appearances - Here you’ll learn about the many different ways that guides present themselves, which will further strengthen your ability to identify them. Introduction To SGE - Here I’ll teach you how to work as an extension of a spirit guide. Rules Of Channeling - Here you’ll learn the do’s and don’ts of channeling and why following these rules is essential a positive experience. Dealing With Unwanted Entities - Here I’ll show you exactly what to do if you experience negative feelings when dealing with an entity. Identifying Entity Types - Discover the secret to being aware of spiritual guides. Guide Types - Here you’ll discover everything you’ve ever wanted to know about different guides including the difference between personal guides and higher level guides. Meditation And Trance - Discover the importance of meditation and trance and the role they play in accessing the Angelic Realms. Guide Communication - Here you’ll learn the secret technique that I show people everywhere that enables them to effectively communicate with guides. Extrinsic Channeling - Here you’ll learn how you can channel for other people and connect them to their lost loved ones. What You Have Before You Is Everything You’ll Ever Need To Effectively Access The Angelic Realms And Reconnect With Those You Have Lost! And aside from that, you’ll also be able to help others do the same….. In the past, the only way for me to pass on the privileged information needed to cross over was through a private session, which nowadays has a $25,000 price tag attached to it. But with this new amazing program, you can not only access the same information and techniques that I have introduced to countless people from the privacy of your own home, but you’re going to save a ton of money as well. For just $27.97, you can begin the journey toward crossing over today. That’s right, I’m going to give you $25,000 worth of secret information for just $27.97 $27.97! 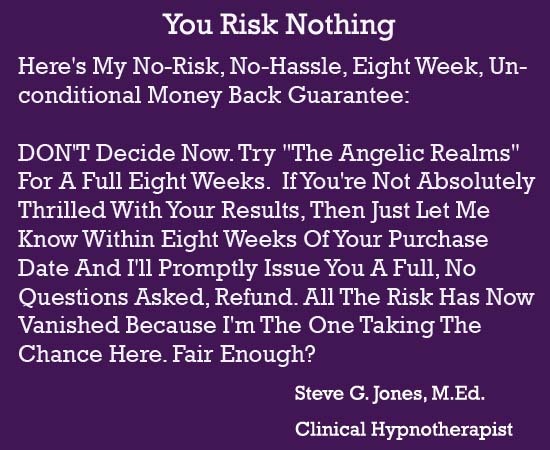 And to make the decision to own the Angelic Realms program even easier, I’m going to let you try it absolutely risk free for a full 8 weeks. Here’s how it works. So let me ask you, are you ready to finally reconnect with the loved ones you have lost? Are you ready to finally gain the closure that you have been searching for? 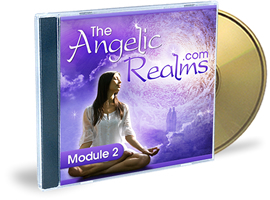 If so, don’t wait any longer, own this program and begin the journey to The Angelic Realms! P.S. - Remember, your ability to reconnect is only moments away. You can simply download the program and put your new found knowledge to work immediately. P.P.S. - Don’t forget, you have a full 8 weeks to experience how “real” this program truly is because if you’re not 100 percent satisfied, I’ll buy it back from you.